Over the past few years I have come to the conclusion that development challenges in Ghana and across Africa are largely rooted in our value systems. We say we want better livelihoods, cleaner cities, less disease, but do our daily lives reflect that? For this reason, I was excited when I received an invitation from Deutsche Welle in May 2016 to explore the intersections of media, ethics and freedom at their annual Global Media Forum (GMF). I was very curious to see how the concept of a “free media” plays out across the world, especially in a social media era. Although I’ve worked in the journalism and media space for over a decade, I never actually studied journalism. I guess you could say I’m self-taught and a student of experience. For this reason, I was also elated at the opportunity to immerse myself and learn from hundreds of other delegates from across the world. And boy, did I learn! While Circumspecte did live-tweet the Global Media Forum, I wanted to highlight some key takeaways, which are worth considering by various media and policy stakeholders across Africa. Since deciding to go solo, I’ve had conversations with a diversity of people on the so-called digital revolution. The mind-boggling thing is the resistance to it, especially from private and public sector officials. Companies still think traditional is the way to go but as the research and experience increasingly shows, everything is moving online. Gradually, if not already. I often say that keeping your money in your bank account when you owe people doesn’t change the fact that the money isn’t yours. You have debt. In the same vein, refusing to acknowledge the presence, influence and growing impact of new and digital media, including social media, is kin to burying your head in the sand. Change is happening all around us. Like it or not, it has arrived. First in Africa’s urban centers, and in due time, across the continent. Beyond being the first sub-Saharan African country to gain independence, Ghana is not exactly a trendsetter in the international realm. We follow trends. Well, in case you haven’t heard, the global tendency is towards going digital. It will happen. The internet access debacle might slow it down, but it will happen – probably sooner than we think considering internet access initiatives like Google’s Project Link. So, if you’re reading this, and especially if you’re still skeptical about the power and influence of digital media and its netizens, consider this a private memo: The digital revolution is already here. What are you going to do about it? One striking discussion during the GMF was the fact that global media like Deutsche Welle, CNN, BBC and so on are also grappling with the digital revolution. Where many of them had their audiences linked largely to their native platforms – TV, radio, newspapers – they now have to follow their audiences instead of the other way around. Anyone in the digital media sphere will tell you that these days news breaks on social media, Twitter especially. News agencies like the New York Times have realized that print alone doesn’t cut it anymore – and have started exploring innovative ways of delivering news to their audiences on digital platforms. Even in Ghana, many traditional media agencies have some presence on Facebook at the minimum. They might not necessarily engage with their online audiences, but they are there. What does this mean? Well, for one, it buttresses point one – the revolution is being digitized. But more importantly, it means that the people who own the news are changing. Sure, TV3 or BBC might have produced the news content, but by virtue of the fact that they have to replicate that information on Facebook for instance, they no longer own it fully. Why? Because ultimately, companies like Facebook have sole control over their applications and more importantly, anyone who signs up agrees to whatever is in the blueprint. Large media agencies included, unless of course they strike a different agreement with Facebook. The Facebook algorithm (equation) determines what you see on your news feed, and so Facebook has a big say in what news you receive and ultimately, your perspective on the world. While Google, Apple, Facebook and Amazon (GAFTA) may not call themselves “news agencies”, the truth is they play a huge role in determining what becomes news and what doesn’t. How else is media ownership changing? Literally everyone online is becoming a walking media house in their own right. We no longer have just news consumers and just news producers. Now, we have content consumers who can also double-up as content producers. This accounts for the strong conviction both Clinton and Trumps supporters on Facebook had that their candidate would win the US Election – their respective news feeds reflected stories telling them what they believed or wanted to hear. And even though Facebook doesn’t want to call itself a “media agency”, it’s in hot water for exactly that. As the US presidential elections demonstrated, news and social media are increasingly polarized. While the newspaper opened people up to a variety of thoughts on any given issue, online news consumption fine-tunes news offerings to meet a consumer’s “interests”. Nowhere is this more evident than on Facebook and Google. On Facebook, interactions are largely determined by one’s network. If you believe in the saying that each individual is the sum total of the six people they spend the most time with, you’ll understand why birds of the same feather flock together on Facebook. Generally speaking, your Facebook friends are a reflection of you. By virtue of this, you are more likely to have similar interests, ideologies, and even political leanings as they do. For the most part, the Facebook algorithm seems to lean more towards popular posts within your network – posts that have more likes, comments, shares, and so on. However, we cannot ignore the fact that people who might have their own leanings or perspectives on different issues develop these algorithms and applications. Questions have arisen as to the influence of that. So what happens? Media is polarized. You’re more likely to receive content and news on social media that reinforces your stance on an issue than you are to get a spectrum of opinions or schools of thought on any one issue. Factor in the fact that humans now have an attention span shorter than that of a goldfish and you’ll see why this is unsettling. For one thing, we no longer read widely and deeply. Consequently, what we do receive via our Facebook news feed doesn’t reflect reality in its entirety; we tend to live in diverse communities and even though we might stay in our bubbles, we do encounter “the other” in our daily lives at work, at school, and so on. Generally speaking, on Facebook we don’t. We self-select the people we engage with; people who we already identify with in some way. As many media and political pundits have pointed out n the wake of the US Election, the makeup of platforms like Facebook could engender intolerance. Imagine receiving one “no” after you’ve been fed thousands of “yes” online. Ultimately, it could impact policy and affect people’s lives in more practical ways. 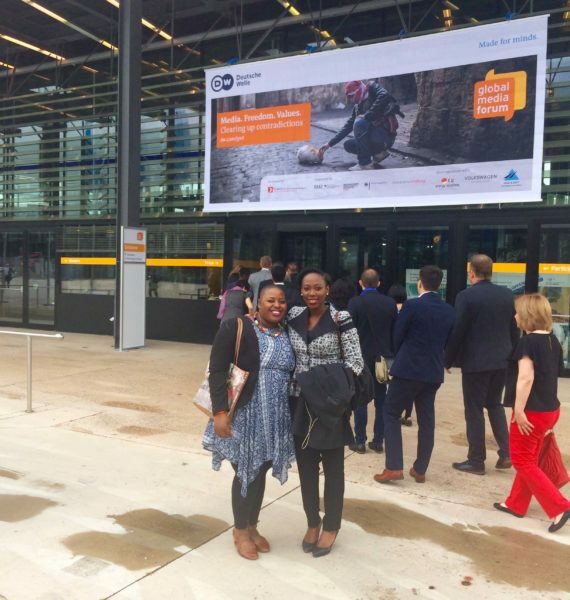 With fellow African blogger Amukelani Mayimele at the 2016 GMF in Bonn, Germany. While many people still consider the digital space and social media to be child’s play, the figures say otherwise. The digital economy is being formed but is already a force to reckon with. What’s the digital economy? Consulting firm Deloitte defines it as all economic activity linked to online connections and interactions between individuals, companies, data, gadgets and systems. Today, the global digital economy encompasses everything from gadgets and devices to e-commerce, social media, content and even search, and are estimated at US$ 3.1trillion. That’s equal to the GDP of a country like the United Kingdom! But that’s just the tip of the iceberg. With technological advancements and as more people come online across the world, so will the opportunities, products, services, and transactions. Africa is regarded as being the most innovative region when it comes to mobile technologies and the second largest with over half a billion mobile subscribers. In 2013, Africa’s internet population was 167 million. By June 2016, that figure had more than doubled to 340 million (28.7% penetration) and is expected to increase to about 600 million by 2025. Beyond texting and communication, many use the internet and digital sphere for financial services, education, health, e-commerce, and even government services. As more Africans connect, many of the opportunities offline will be replicated online – redefining “work” as we know it, and potentially contributing to a US$ 300 billion digital economy. Products and services like MPesa, iRoko, Andela, Jumia (Africa-wise), expressPay and Tonaton (Ghana) are already carving a niche for themselves in the African and Ghanaian economies. Considering global trends, new products and services will be created, ushering in the so-called internet of things (ioT) which will see basic appliances and gadgets connected to and operating through the internet. Social media is another element to pay attention to. The majority of social media users in Africa use these platforms to stay in touch with family and friends and to a lesser degree to engage in political discourse, however there is a growing segment that has also tapped into the social media economy. Facebook is the most popular platform with over 146 million African users representing 12.6% of the continent’s population. According to Ventures Africa, the continent’s social media economy is now estimated at $14 billion, partly thanks to Facebook ads. It is already possible to purchase products through Pinterest and there is talk of Instagram following suit soon. Ghana and other African countries still have a long way to go, but as I tell my business clients, it’s only a matter of time. First movers will have an advantage. The robots are coming, and that means the way humans communicate, work and live is likely to change. This comes with both advantages and disadvantages. In the area of news and content – and considering the elements I’ve explored above – it means one has to be more conscientious about what content we consume/produce and how we consume/produce content. For the content producer, it’s no longer a simple matter of writing an article and hitting publish. 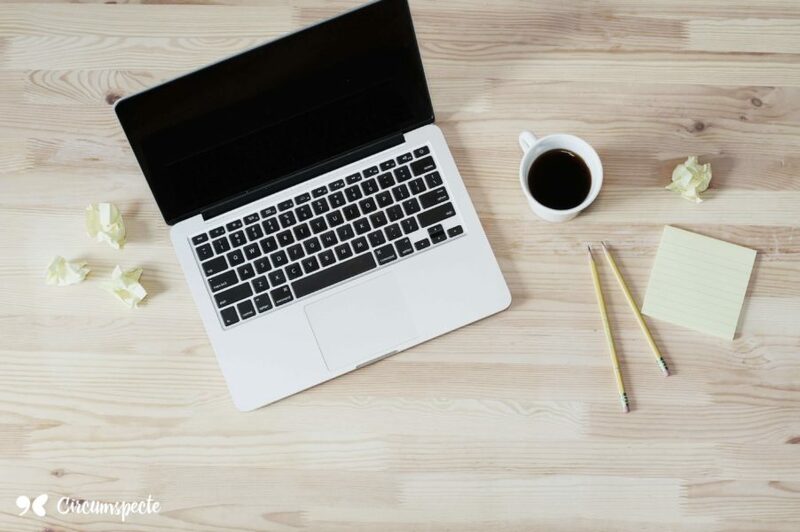 If you are a blogger or digital publisher like myself who prioritizes quality content, you will most likely do the entire gamut of tasks associated with a newsroom: brainstorming ideas, researching, creating content, fact-checking, editing, publishing, distributing, and community management. For a conscientious news consumer, it is more important than ever to be circumspect with how you consume news. Read widely – and deeply – from different platforms and look beyond the mainstream if you seek contextualized news. In this respect, Twitter, blogs, and local news sites can be particularly insightful. If you’d rather get your daily news from Facebook, take some time to customize your news feed settings. Don’t shy away from asking questions and debating issues. Why? Because this is not a matter of inconvenience, this is our lives, our histories being written. All in all, Deutsche Welle’s 2016 Global Media Forum was a very humbling and inspiring experience. I learned so much. I also realized just how much more we have to do in Ghana and Africa when it comes to content creation, storytelling, news and publishing, especially on digital platforms. Seeing how digital media is leveling the playing field – not just in terms of opportunities, but also the issues that come with it – was also insightful. We are all figuring it out. The opportunity that Africa-focused platforms like Circumspecte have is to learn from the “mistakes” and “missteps” of platforms in regions of the world where digital has already been normalized. In the next few years, from Cairo to Johannesburg and beyond, we will define and redefine what social media and the digital economy mean to us. As they say, with freedom comes responsibility. Even in digital spaces where anonymity is an easy option. While the GAFTA are dilly-dallying over whether or not they are media companies, their influence on content consumers is extending beyond even traditional news agencies. The challenges exist, but so do the opportunities. What we have to do is come up with the guidelines, structures, frameworks and knowledge to ease the process and ensure that there are more gains than pains. Digital literacy and skills are an imperative. Social media bans and cancellations will probably occur, but will by no means stem what is second nature to humans: the desire to connect, to communicate, to create. The revolution will be digital; on which side of history will you stand?